New Program: Get up close and personal with a California Sea Lion. Get in the water with these amazing creatures as you get to know their unique personalities and characteristics. 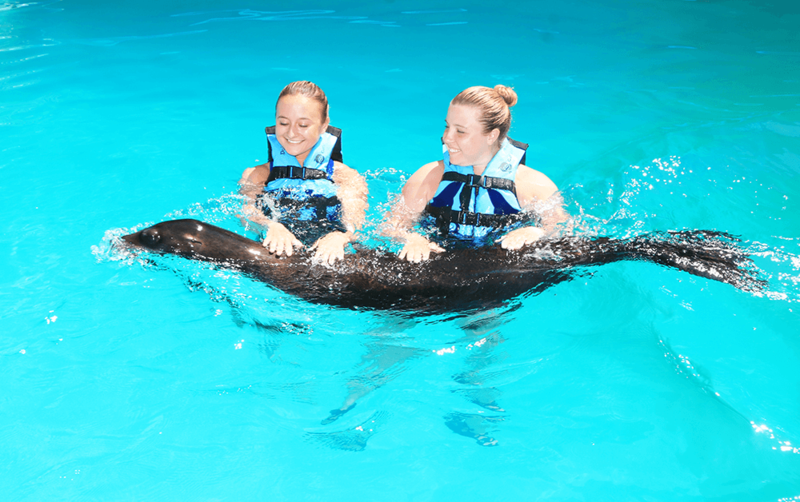 Guests ages 12 and older are invited to interact with a California Sea Lion in an all new in-water experience. Participants will learn valuable information about these extraordinary animals and what they can do to help their wild counterparts. At Gulf World we invite guests to come for the experience and leave with a mission to help the environment and the animals that call if home. Photos of your experience with the Sea Lion. Participants must be at least 12 years old and 4' 8" tall to participate. No refunds will be given unless canceled by Gulf World. Bring your swimsuit and towel (recommended wearing the suit under clothes).